What follows is a complete journal of my pivot pilot training from first conception through my check ride. It is long, wordy, has few photos, and may only be of interest to people thinking about or taking flight lessons. I kept such a detailed journal because I found that writing about each lessons helped me process the lesson and better understand the skills I learned in the lesson. In the summer of 2003 we did a Canoe trip in the Alaskan arctic. To get there we flew on several different planes, and saw many others. This piqued my interest in flying. I've always been interested in learning to fly, but knew it was expensive, didn't know exactly what I would do with it, so thought it was something I would do "later". 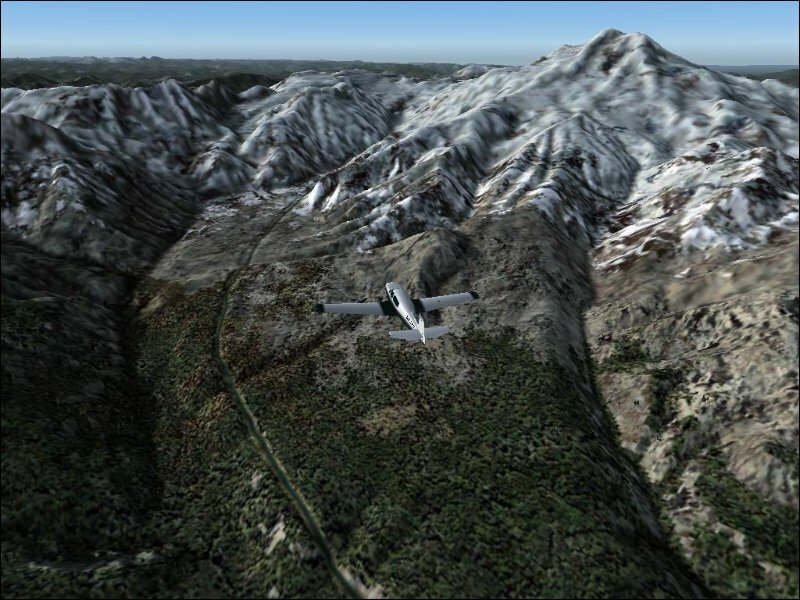 After the Alaska trip I bought Microsoft flight simulator as a way to satisfy some of my interest at minimal cost. The program was better than I expected. It had a complete model of the world terrain, airports, simulation of air traffic control and other flights, and a wide selection of planes to fly. 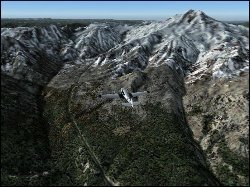 I also found that I could download other planes and terrain. Soon I was flying over high resolution models of the canyons of southern Utah and landing on back country landing strips. I told Andrew about this and we speculated about doing this for real. That pretty much pushed me over the edge. A week later I was down at Boeing field looking at flight schools. 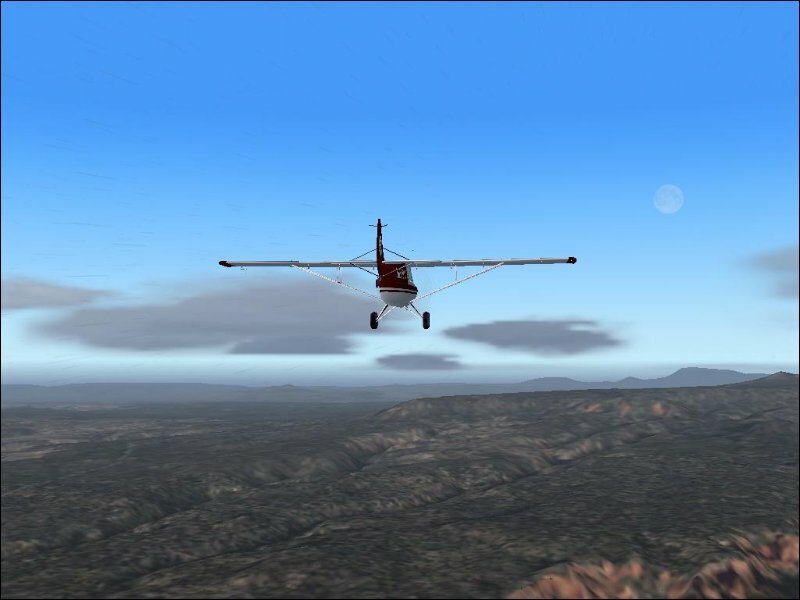 Flying near Dark Canyon, UT. Evening flight from Seattle to Bellingham. Over the San Rafael Swell, Utah. I decided to take lessons from Boeing Field because it is convenient. Because it is located in a busy air space learning there I'll get experience dealing with all the ATC services and feel comfortable flying just about anywhere. The schools ranged in price a fair amount. The main cost factor was how new the airplanes are. Galvin Flying. They were proud of having very new airplanes equipped with $60,000 instrument panels. They also are licensed under a more restrictive section of the FAA regulations and must meet higher standards. They suggested that I should plan on spending $9,000 to $12,000 by the time I'm done taking lessons. I'm sure they are a good school with great instructors, but the price felt too high for me to fully enjoy. Wings Aloft. This is a flying club. Their facilities and planes are slightly older. They have a good selection of planes in their fleet. Some social functions. Continuing education on different planes. Appealing, but still expensive. AeroFlight. A friend said this was the lowest cost he found. Their very basic web site only talks about Executive Flying Services. The people I talked to seemed unorganized and quoted a price, $4,000, which seemed unrealistically low. It didn't seem welcoming. Deane Page. Deane is a private instructor working in association with Alternate Air. Deane has a lot of experience flying small aircraft in all kinds of conditions. 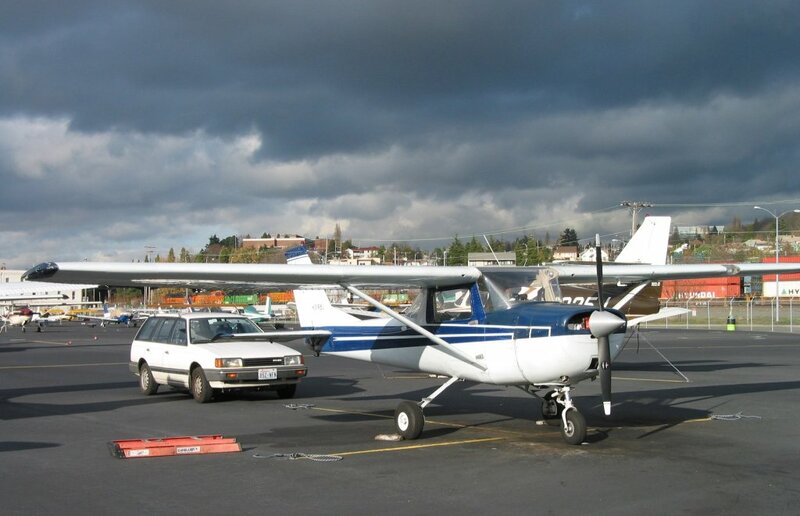 Alternate Air is an ultra low overhead flight club that has 2 Cessna 150s and a 172 on Boeing field. I decided to go with Deane. I figured that I liked the idea of working with an independent and I liked the low cost. His technique is to give the student exposure to as much as possible as soon as possible. This makes lessons pretty intense. I've not called uncle yet, but I think that he would back off if I did. He is aware, especially in early lessons, that I'm complete wore out in less than one hour. Several people have written to ask about taking lessons. I'm always glad to answer questions so please write if you have one. But here are my general recomendations. Personality is the biggest factor. 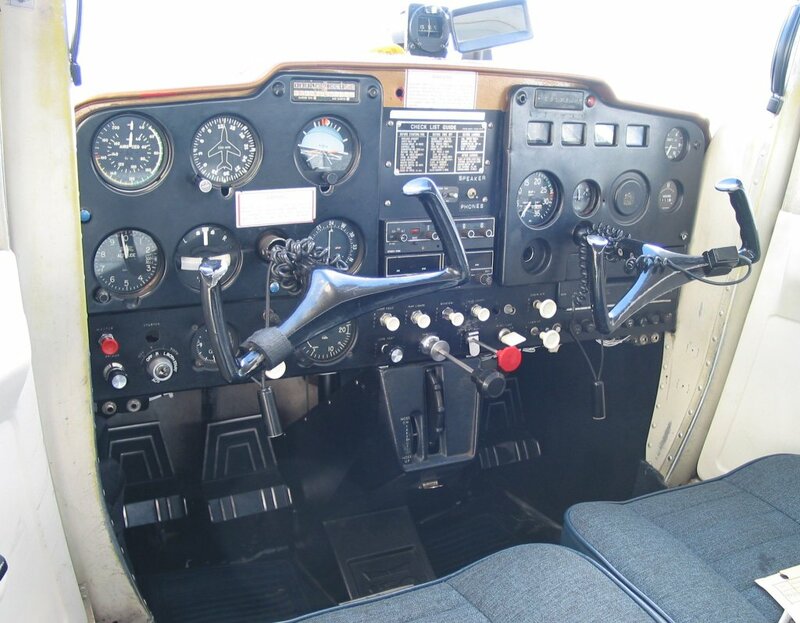 Take introductory flights from a couple different instructors. All the time counts toward your training and the instructors expect this. Choose the one you think you'll most enjoy learning from. If it does not work out go ahead and change instructors. Going with a larger flight school will make changing easier. Cost is a big factor. However you go, the it is going to cost a lot. The difference in cost between schools can be significant, several thousand dollars. If you constantly feel that you are spending a lot of money it will be difficult to enjoy the lessons and flying. Choose instructors and schools that you can afford. Ask for estimates of the total cost. I thought most estimates I got were realistic. Expect to spend 70 hours flying. About half that will be with an instructor, though that varies tremendously. Add $400 for a good headset and a couple hundred more for books and supplies. Ground school is not required. If you are disciplined at home study you can learn from a book and check your learning with sample tests. But, if you are not disciplined then ground school is well worth the time and expense. The airplanes are a minor factor. You need to be comfortable flying the planes you learn in but they don't have to be the planes you latter intend to fly. It is not too difficult to transition from one plane to another. I recommend learning in smaller, simpler airplanes: you get more immediate feedback on what is going on. The exception is tail draggers. if you expect that you'll want to fly tail draggers you probably should learn in them. The J-3 Cub is a great trainer. What follows is a mix of narration about my lessons and notes to myself about what I learned in each lesson. Take off Boeing field, fly around Vashon, land Boeing field. Cessna 150, 0.9 hours, 1 landing. Since I've been flying flight simulator, using ATC, and working through the lessons I'm actually very familiar with the controls and procedures - I've just never really done any of them. We take off, fly the pattern, then exit over West Seattle to Puget sound and Vashon island. Dean has me try a turn, then a descending turn, then a climbing turn. The we practice the landing sequence with flaps, throttle control, and everything. Back over West Seattle, into the pattern, and down to the run way. 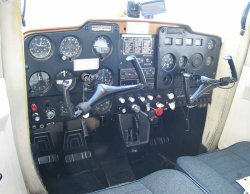 I do all the flying with a constant stream of instruction from Dean and frequent adjustment of the controls. We are up in the air only a half hour and I'm quite wiped out. The lesson is a lot more intense than I expected. Back home I find that I have doubts about learning flying - the process is very taxing. But then the next day I find myself thinking about everything that we did and rehearsing for my next time in the plane. On Monday I notice that the weather is far better than forecast, call Deane, and suggest a lesson that afternoon if he is free. I get there before Deane and do the preflight myself. Having owned and operated sailboats I'm comfortable with transportation machines. Plan for today is to fly to Bremmerton airport and practice flying the pattern and touch and go landings. 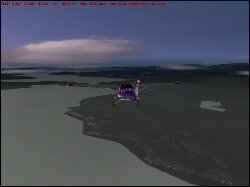 Communicating with ATC is a big challenge for me. Apparently I'm not the only one. There is even a name for it: mike fright. The dialog between pilots and ATC is highly structured with standard phrases. I'm afraid I'm going to say the wrong thing. The books say this happens to every pilot. Deane says that the controllers at Boeing field are used to talking to students and do their best to help. This does not stop me from being intimidated or finding the difficult to think of the right words. I'm particularly bad at responding to ATC transmissions. Those who know me know that I'm slow to respond even in casual conversation. I feel I do pretty good on the landings. I know that I'm constantly forgetting things and Deane is correcting me, either verbally or with an assist on the controls. There is just a lot going on and it is all new to me so I have to think about every single thing. Nearly nothing is automatic for me yet. It is a heavy load for my brain and after 3 touch and goes and the flight back to BFI I'm wiped out again. Back home I'm again questioning my interest, then rehearsing, and by the next afternoon calling Deane to see if we can go out the following day. The Cessna 150 I'm flying. Today's plan is to fly the pattern at Boeing Field practicing slips. I find this idea intimidating. The intensity is increased again. I'm going to be doing more landings at a busy airport with ATC to talk to, practicing a new maneuver near the ground, quickly coming up on a runway I have to meet just right. I'm trusting Deane to know what is an appropriate amount of challenge to throw at me. 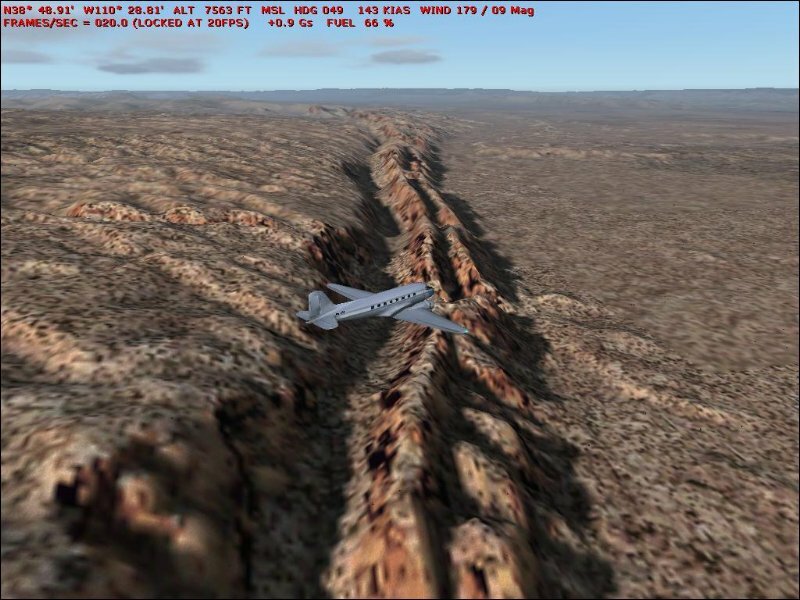 Slips are a way to make the plane descend faster with out gaining more air speed. You bank the plane one way then rudder the other way to keep it from turning in the bank. The result is that the plane moves forward somewhat diagonally. This also "spoils" the aerodynamics of the plane resulting in a faster rate of descent, but with out such an increase in air speed as would happen if you just pointed the nose down. Great for getting down to a runway if, for some reason, you can't use the flaps. About this time Deane observes that most student's don't get a chance to do much sight seeing in their lessons. I had just been thinking the same thing. - pre-landing - stay high - turn earlier - flaps - speed - base - power off - flaps - 60-65 on the descent - turbulence near the runway - down - heat off - flaps - power - flying again - climb - crosswind - base - level at 1000ft - down wind - flaps - speed - base - 60-65 - good - good - Deane says go around - power on - heat off - keep nose down - watch speed - flaps up some - call ATC - flaps - speed - runway - cross wind - down wind - pre-landing - base - final at a diagonal this time - flaps - speed - down. We taxi off the runway and call ground for clearance. Again, I'm wiped out. Shortly after leaving the airport I realize that I've left my sun glasses in the plane. I'm going to need a checklist for leaving the airport. 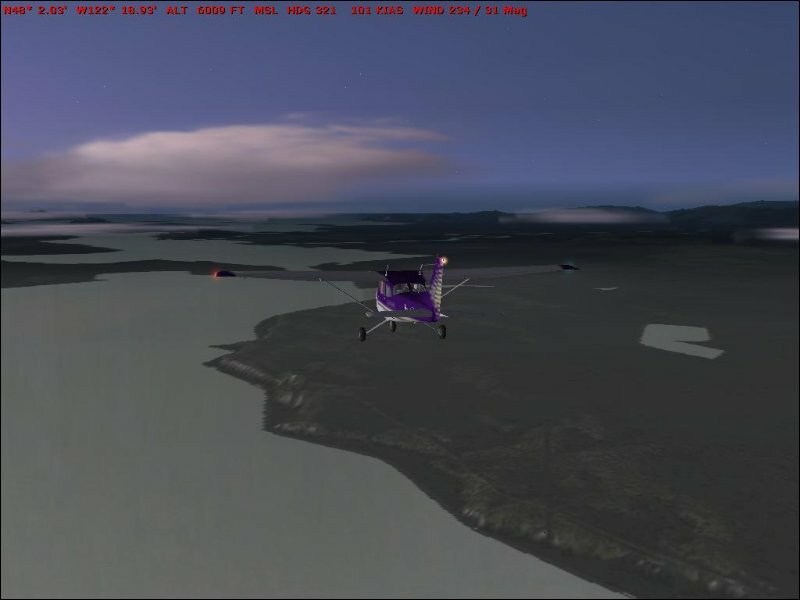 Depart Boeing field, fly up to bainbridge, practice stalls and slow flight, make straight in to Boeing Field. Height - sufficient to recover safely. 3,500 AGL minimum for check flight. Area - Not over congested area. Security - is everything tied down. Engine - temps and pressures correct. Lookout - do clearing turns and look for other traffic. We'll do two types of stalls. Power off stalls are done in the landing configuration to simulate a stall that may occur if you got too slow on approach. Power on stalls are done with full power in climb to simulate a stall that occurs when you climb too quickly at takeoff. In both it is important to not use the ailerons to right the plane during the stall. If a wing drops during a stall it is because that wing has lost lift. Applying down aileron to that wing will only make the stall worse and cause the wing to drop more. Instead, use the rudder to keep the plane's nose from yawing off to one side. The power off recovery is done by applying full power and letting the nose drop. The full power recovery is done by dropping the nose. 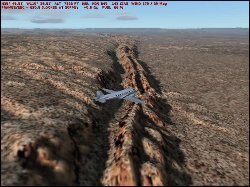 In both the plane will want to climb again and forward pressure must be maintained to allow the plane to gather airspeed and start flying again. Best to recover with out loosing altitude. Deane starts by demonstrating some stalls. On the first, the right wing drops. Dean recovers and then the left wing drops. I think that on this one the I saw the horizon running vertically through my field of vision. Interestingly, I was still being pressed down into my seat. I don't know how Deane recovered. It was, however, clear to me that I need more flying time before my reflexes are anywhere trained and fast enough so I trust my ability to recover. Dang, this is like skiing: not enough time to think, the body has to do the right thing. And that means lots of practice. I practice several stalls, both power off and power on. On the power on stall the plane is pointing up some 50 degrees before it stalls. I have to say that with the stall horn, the softness of controls, and the sense of diminished speed, onset of a stall seems obvious to me. Of course, this usually happens when one is already flying slow so the stall warnings may not contrast that greatly with what was intended, excepting the stall horn. Next, slow flight. Full flaps, speed to 40 mph, power as needed to maintain altitude. At this slow speed the plane is on the edge of a stall and the stall horn is going constantly. Deane demonstrates, maintaining 2,500 ft perfectly. I do OK, though it takes me a while to get the rudder sorted out and progressively loose 100 ft through the exercise. On the landing we are cleared for straight in approach. This is easy, once I locate the runway. Dean has me fly in on the VASI, keeping the plane moving at 120mph until we are just about at the runway. I then throttle back, let speed drop, lower flaps, and bring it down. At landing I pull back too much and the plane lifts up a little and the stall warning goes off. More practice there. At the end of the lesson I feel less wore out than previous outings. A sign of progress.